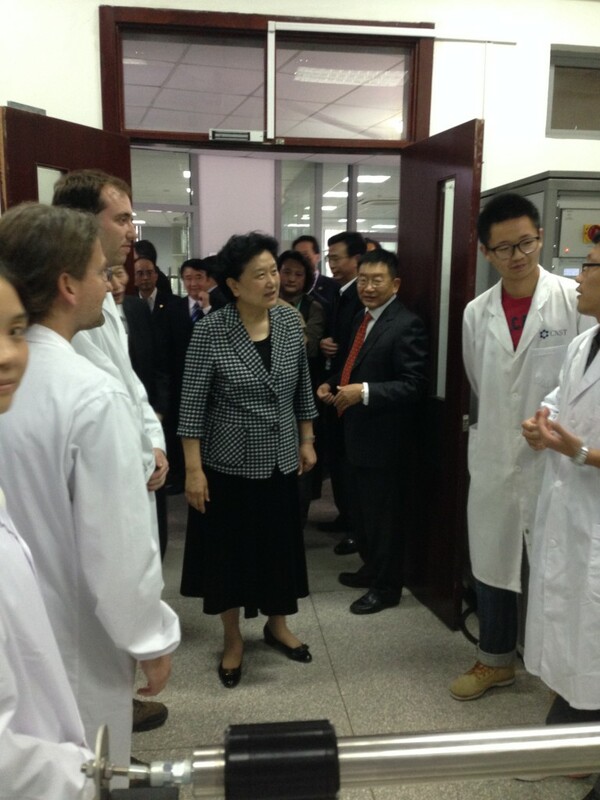 The Chinese vice premier Yandong Liu visited our institute on April 24th. Professor Mario Lanza was selected to wellcome her and introduce some of the equipments of our laboratory, and she express her warm welcome and congratule him for his recent Young 1000 Talent award. Yangong Liu graduated in chemistry at Tsinghua University, meaning that she had a good understanding of the functioning of the laboratories, and she gave us very interesting feedback.